Diffusion of Christianity on lake Garda: given that there is a discord between dates in the comparison between tradition and historical reconstruction, which makes the exact chronology difficult. Two inconsistencies arise: the time of the passage between Clateo (I sec.) And Viatore (IV sec. ); That of Apollonius who, according to tradition, was bishop between Latin and Ursicino (347 AD), but according to the passion of Saints Faustino and Giovita (II sec.) It was their contemporary. Things that gave a strong impetus to the spread of Christianity were: the edict of Constantine of 313, which guaranteed the free exercise of their worship by Christians, recognizing the ecclesiastical hierarchy and granting them the right to join; The benevolent politics of Emperor Onorio (395-423 AD) who destroyed the emblems of paganism, managed to erect more than fifty churches and thus laid the primordial foundations of the Pievi, which were then ordinarily established in the Roman pagan capital, They assumed the pagan organization and gradually transformed it into the Christian one. Since the Primitive Bishops were themselves designating and ordering their successors, thus dying Anatalone had entrusted Milan to Cajo and Brescia to Clateo, martyred during the persecution of Nero (54-68 AD). 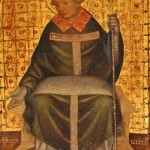 According to the tradition, Clateo would then pass on to Viatore, but this appears to have been bishop in Brescia and then in Bergamo around 343-370. He was commissioned by the wise Flavio Latino, who was born in the middle of the first century in Lazio, and had received Baptism from Clateo. Around him, the small herd grew day by day, and many new neophytes of the valleys and the Benassian Riviera were soon added to the handpiece. 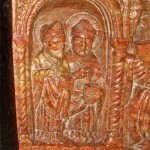 According to tradition, the fourth Bishop of Brescia was Saint Apollonio, who converted and baptized Saints Faustino and Giovita who, like him, will suffer martyrdom during Brescia’s stay of Emperor Hadrian (117-138) and become the patrons of the city . His body was brought in 1025 in the basilica of San Pietro de Dom, where in 1510 he was placed in a new marble arch, in the end he will be placed in the new Cathedral. Ursicino becomes the sixth bishop of Brescia in 320, after a long period of time when the bishopric was united to the diocese of Milan. 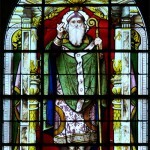 He died in 347 and succeeds Faustino di Brescia (360-381). Filastrio ( 380?- 387), autore di un catalogo di eresie “De Haeresibus”, dopo aver vagato per tutto l’impero combattendo contro le eresie si ferma a Brescia come vescovo, forse su richiesta di S.Ambrogio (339/340 – 397). 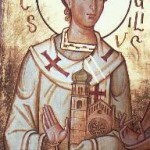 St.Gaudenzio fu vescovo di Brescia dal 387 al 410 e, agevolato dalla politica verso i cristiani dell’imperatore Onorio. Di Gaudenzio si sa che è bresciano di origine, ma nulla invece sia della famiglia che della sua giovinezza, al fianco di Filastrio prima della sua morte, viene designato come prossimo vescovo della città a sua insaputa mentre era in un pellegrinaggio. Viene sepolto in San Giovanni a Brescia presso il Concilium Sanctorum. Almost at the same time appears on Benaco, St.Vigilio (Rome 355 – Val Rendena 405), which founded thirty and more Churches in the Benacens. It was originally from the Urbe, from which San Vigilio Trento matrona Roman Masseria, escaping pagan persecution, retired to Trento with his sons Claudiano, Maguriano and Vigilio. This, having completed the studies in Athens and having virtues of virtue, in about 385, happens in Trento to the famous Bishop Abbondanzio, and becomes the third jar of that Church. In the years between 403 and 405, according to the Brunati, also visit the western coast of the lake, including Campoverde, Volciano, Salo, Gardone, Maderno, Toscolano and Gargnano, where it spawned and fertilized the seed of divine word and Christian faith. He finds death in Val Rendena, accompanied by brothers and a missionary, when a statue of Saturn throws in the river Sarca during a massacre and rages the anger of the pagans present. His body is in the Trento cathedral. In 380 the Emperor Theodosius issues the edict of Thessalonica with which Christianity is recognized as an official religion of the Roman Empire and subsequently issues in 391-392 the decrees that are the practical implementation of the previous edict with which the pagans persecute. A period of destruction of pagan temples begins by Christians, some of them baptized. In 552, during the empire of Giustiniano, he was elected the bishop of Saint Ercolano in Brescia, becomes a abbot of a monastery in the city but decides later to retire to lonely life in Campione sul Garda, perhaps because of the contemporary invasions of the Longobards, people heretic. 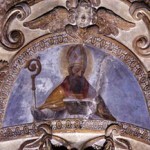 He died in 576 and his remains between 958 and 1022 were translated into the church of Maderno. In 568, Alboino comes to Italy with his Arian tribes of Arianity, the Longobards, begins a period of devastation and internal wars for the power that over time leads to their conversion, until the last Longobard rulers to Desire and Ansa. Desire builds the Leno abbey while Ansa the church of the Savior in the monastery of Santa Giulia in Brescia (757-761) and also the church with homonymous monastery in Sirmione (765). At the approach of the year 1000, the peoples were subject to great terror because they were convinced that the end of the world was to happen in that year; And since they felt confident that at this time they had to begin for eternity, they sought to acquire the salvation of the soul with every religious act. Nobody cared more than anything, as if it were not more than this land, and to earn the Paradise the rich left all they had to the churches and monasteries who bought so great property. Arnaldo da Brescia (Brescia 1090 – Rome June 18, 1155) Abelardo’s pupil during his stay in Paris; On his return to Brescia in 1119 began to spread anti-clerical ideas, accusing the clergy of possessing material possessions and of interest in politics and preaching the return to poverty and evangelical solidarity; Its future radical reform program is linked to the ideas of the Milanese Patarini. His fervor and his anti-papal ideas brought him, along with his followers, to ask Federico Barbarossa to come to Rome to create a secular state opposed to that of the pope. In 1148 he was excommunicated and hanged to 1155. Towards 1220 Saint Francis of Assisi passed with a companion, around 1220, on the island of Garda, located at the entrance to the south of the Gulf of Salò, and there a little land made a Cenobio that He had to serve his first followers and was then called the Cenobio of Blessed Francesco da Gargano. In 1437 Saint Bernardino from Siena took the dress of St. Francis, crossed innumerable districts, took to Bergamo, and then to Brescia, and then went to Salò to perform miracles of conversions, then sought for a placid rejuvenation to rest from the work of the parchment , And found him on the island of Garda where he spent his days of penance in contemplation of God, in a peek excavated in the north bank of the rock on the edge of the lake. Here, for its advice and help, the friars transformed the ruins into a convent, then the Monastery was enlarged and adorned with cloisters, loggia and gardens. The island of Garda was called the island of the Friars.